Is your slumped body starting to feel pain in the neck, shoulders and lower back because of your slumping and slouching? Could your posture do with a little help? I've put together these audio guides to improve your sitting, standing and walking in one easy package that you can listen to as often as you like. Sit, stand and walk so beautifully that you'll win awards.... (slight exaggeration, although if there were such a thing as an olympic gold medal in these activities, you'd be up there). Huge round of applause! Sit, stand and walk with less strain and effort. 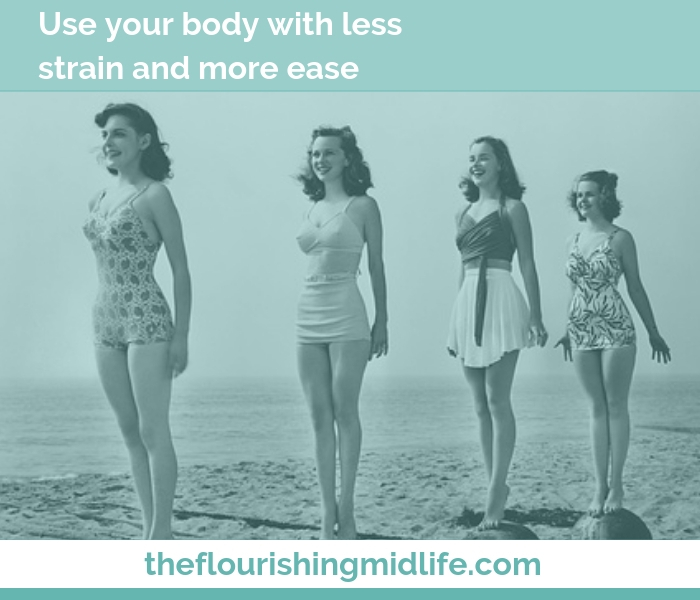 Use your body naturally and safely in the way it's evolved to be used and in a way that helps your body function more efficiently (have you ever noticed how tricky it is to breathe when you're slumped forward?). Look poised and elegant so that you look totally fabulous standing, sitting on a chair or walking down the street. Move easily and effortlesly towards a freer and more relaxed way of being and living. Please note: These audios are not in any way intended to solve postural issues that are the result of a medical issue although they may help. In this case, please consult your physician.